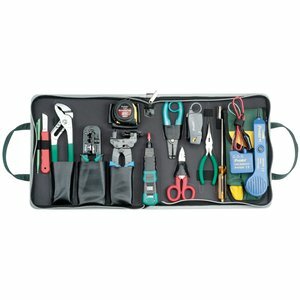 Tool kits supplied in convenient and practical bags ideal for transportation and storage. 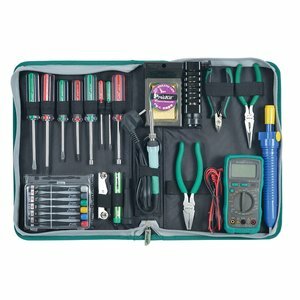 Types of kits are tools for the maintenance of different electronic devices (mobile phones, PCs, and laptops), as well as for installation of satellite antennas and telecom networks. 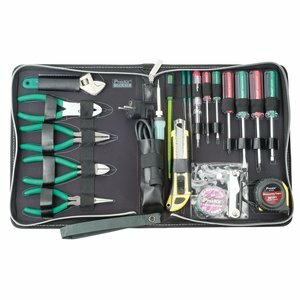 Here you can also find multipurpose tool kits. 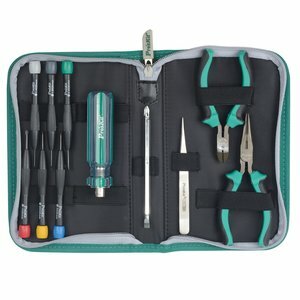 Professional tool kit with everything one may need for soldering. 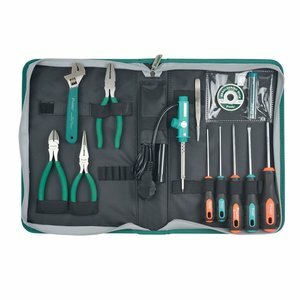 22 elements in set. 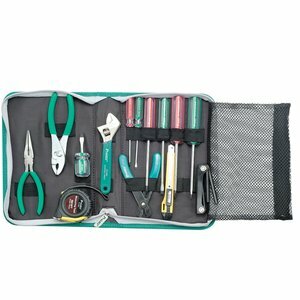 Case size: 330x210x50 (mm). 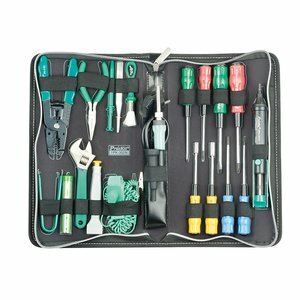 Professional tool kit, designed for electricians and engineers. 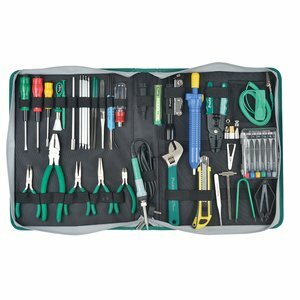 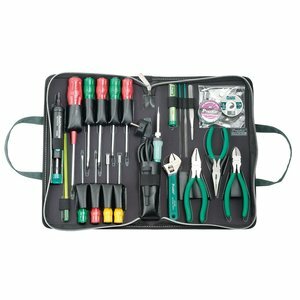 The kit includes variety of pliers, tweezers, screwdrivers, soldering and desoldering tools, and many other useful instruments. 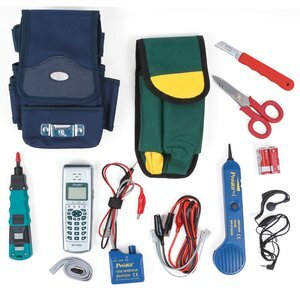 Professional electronic tool kit (24 elements) with a soldering iron and a multimeter is a carrying zipper bag. 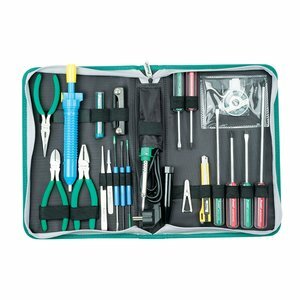 Case size: 217x166x55 mm. 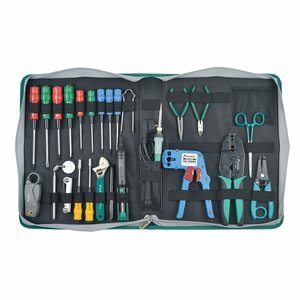 59 elements in set. 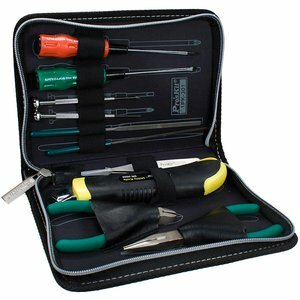 The tools are fixed on the internal walls of the bag and on two partitions. 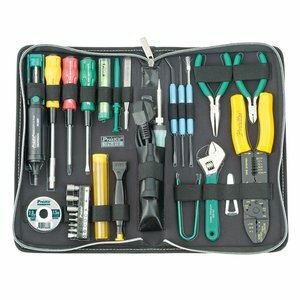 Soldering Voltage: 220V. 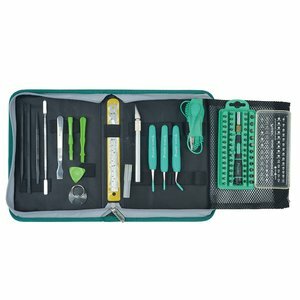 Case size: 375×250×60 mm. 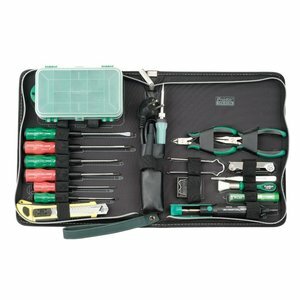 Multi-purpose tool kit with tools fixed on the inner sides of the case. 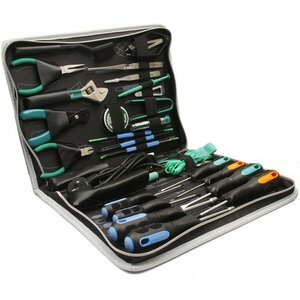 The kit includes opening and prying tools, tweezers, a screwdriver with dit set and more. 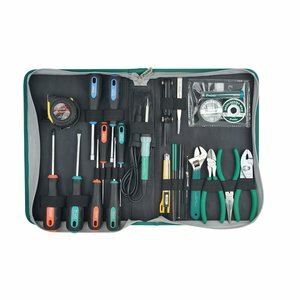 Used for disassembling smartphones, tablets, notebooks, game consoles, cameras. 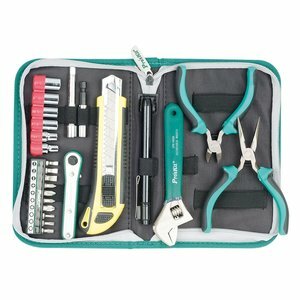 Tool kit in a carrying zipper case. 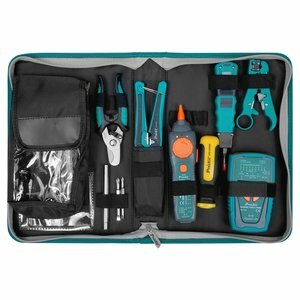 The kit includes pliers, an adjustable wrench, a ratchet handle, a magnetic bit adaptor and bits, as well as a flashlight and a utility knife. 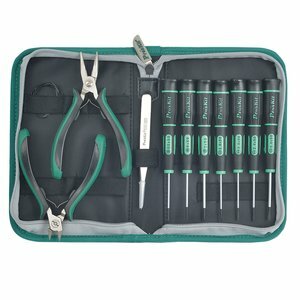 Soldering kit with quick heat ceramic iron and other tools for soldering, long nose pliers, 7pcs folding type Hex wrench and 6 PRO-SOFT screwdrivers. 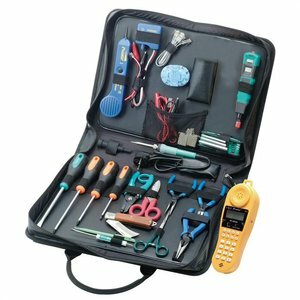 Professional toolkit which is designed for electricians and engineers dealing with installation and diagnostics of computer and telecommunication networks. 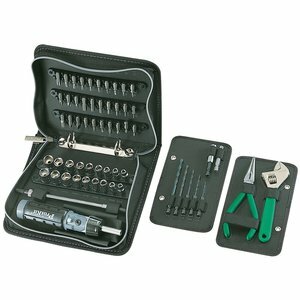 Ideal for installing, maintaining, and troubleshooting voice network. 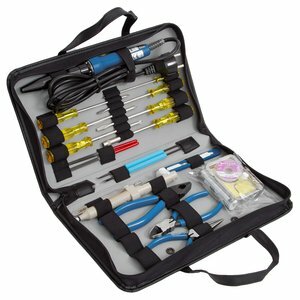 This repair kit is ideal for installing, maintaining, and troubleshooting landline phone network.